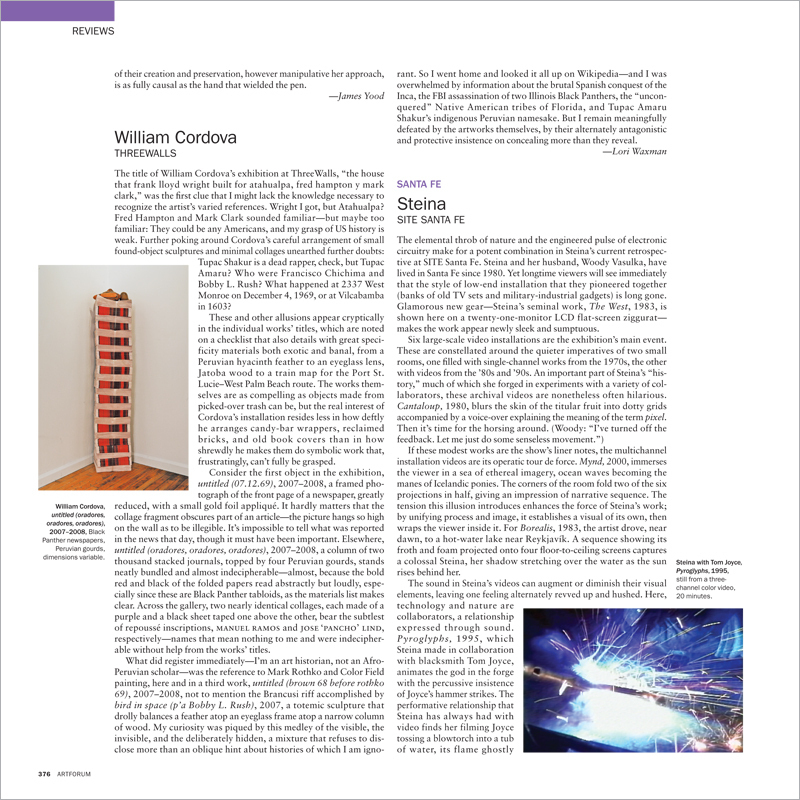 The title of William Cordova’s exhibition at ThreeWalls, “the house that frank lloyd wright built for atahualpa, fred hampton y mark clark,” was the first clue that I might lack the knowledge necessary to recognize the artist’s varied references. Wright I got, but Atahualpa? Fred Hampton and Mark Clark sounded familiar—but maybe too familiar: They could be any Americans, and my grasp of US history is weak. Further poking around Cordova’s careful arrangement of small found-object sculptures and minimal collages unearthed further doubts: Tupac Shakur is a dead rapper, check, but Tupac Amaru? Who were Francisco Chichima and Bobby L. Rush? What happened at 2337 West Monroe on December 4, 1969, or at Vilcabamba in 1603?